This was a quiet week for a chance, I got lots of blogging done and also made enough time for reading and some colouring. To compensate for less work I wrote blog posts like crazy. 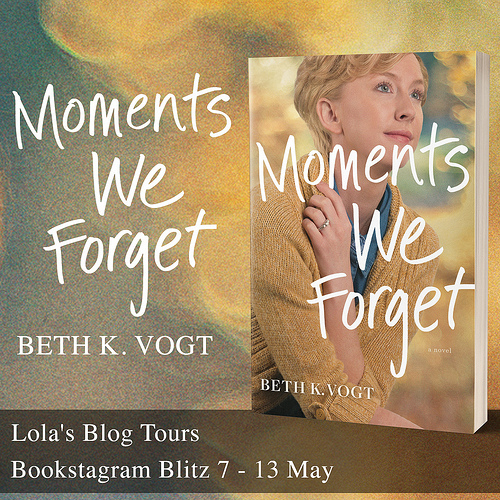 I know Blog Ahead doesn’t start till next month, but I sure got in the mood for blogging this week and wrote a lot of Lola’s Ramblings posts. I am almost three weeks ahead with review posts at the moment, it’s nice to finally am ahead with those again. I have a beta read comming up soon, so it’s nice to have a bit of a buffer. I finished my marketing assistant work for the month last weekend, so I had more free time. Then this week 3 of my september tours ended, so I wrapped those up. 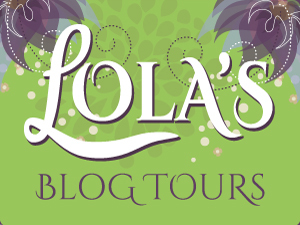 I worked on a new review opportunity for Lola’s Blog Tours, made the media kit and drafted the sign-up post and e-mail. So it’s all ready to go live next week, I am really exicted for this one as it’s a fun sounding YA sci-fi book with a pretty cover! My sister visited thursday evening for a bit and she bought a late birthday present for my boyfriend, a glass with an image from one of the anime’s he’s watching. We talked a bit and drank tea. She’s job searching at the moment, but not having too much luck yet, but she only just started, so I hope she’ll find something good soon. It was fun to have her visit. Then thursday evening I finally baked cookies again, I can’t remember the last time I baked cookies. I made nutella cookies and they turned out really good, will be making them again soon and then make pictures for a recipe post. I also made some time for colouring and spent two evenings colouring and finished a page in the colouring book I got for review, there’s a picture under the random pictures heading. Next week the Blog Ahead challenges started! I am already looking forward to it! At the moment I have 30 scheduled posts. I’ve been writing posts like crazy this week, got a few reviews written and half of the Lola’s Ramblings posts for december, now I only have to do the extra end of the eyar Lola’s ramblings posts. Remember that colouring book I got for review last week? Well I finished a page already! It took me only two evenings and about 3 hours, so this one is a lot smaller than the manadala colouring book. My boyfriend recommended going with the autumn theme for this one and I think it turned out pretty well! Remember how I mentioned Sinterklaas in my previous sunday post? Stores start to sell special sinterklaas candy since september, for which I am very happy as I lvoe most of the sinterklaas candies. 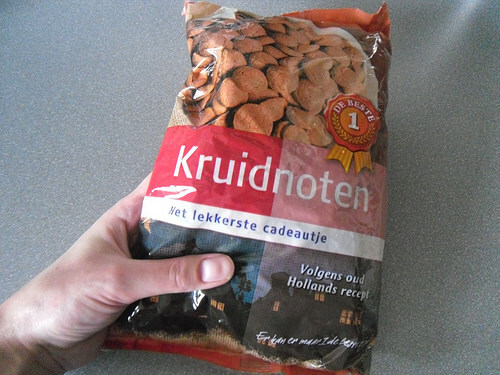 These are “Kruidnootjes”, they are cinnamon and other spices flavours small round shaped cookies. Maybe I’ll try to make these myself ones so I can share the recipe. But often I am lazy and just buy a bag of them in the supermarket. They are very yummy. 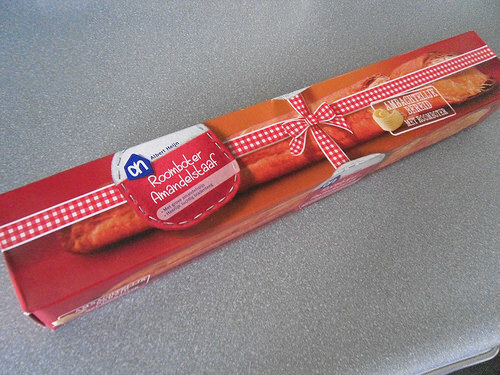 Another Sinterklaas delicacy! I am not even sure how to translate this one, it’s puff pastry dough with sweet almond paste filling. You slice off a piece and warm it up in the oven for a while and then eat it. I love these and often buy a few of these leading up in the month till sinterklaas. It’s delicious! 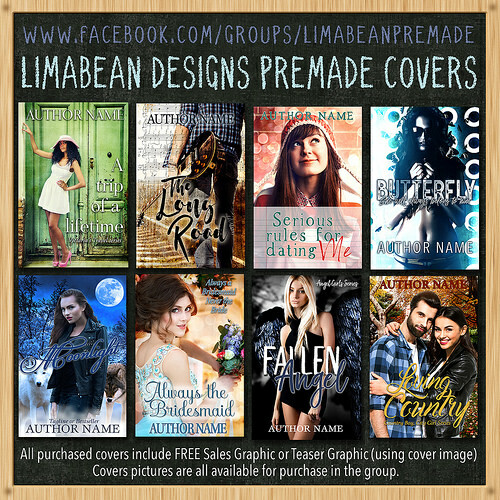 – Lola’s Ramblings: Why Do You Review Books? Our collection includes fourteen unique mermaid tales with over 900 pages of enchanting stories from award-winning and best-selling authors! 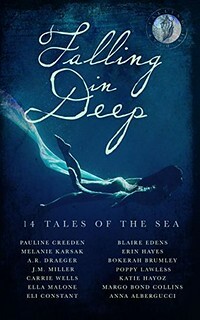 From mermaids to sirens, Miami to Athens, dark paranormal romance to contemporary stories with steam, the fourteen award-winning and best-selling authors of the FALLING IN DEEP COLLECTION are bringing you mermaid tales like you’ve never seen before. Are you ready to fall in deep? 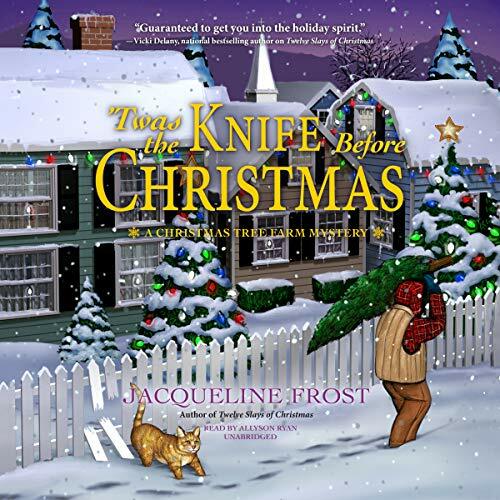 I already read two stories from this box set and really enjoyed them! So I am happy to have the whole box set so I can read the rest too! Its always so satisfying when you get tons of blogging stuff done and you are just on a roll. Hope you are enjoying your weekend. Yeah I really was on a roll this weekend. 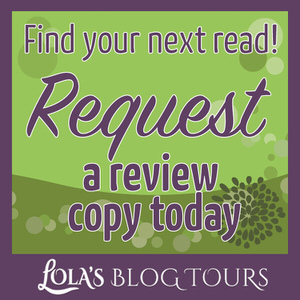 I have most of the Lola’s Ramblings posts written for the rest of the year. Sometimes you just need a week like that and you can get a lot done in just one week. What a beautiful piece of colouring! That looks as if it is an illustration in a book! I’m still experimenting with colour combinations. I tried taking photos of the flowers I’ve done but it didn’t come out great so I’ll need to try again. I’ve been busy reading this week so I haven’t had time to colour. Enjoy! Thanks! 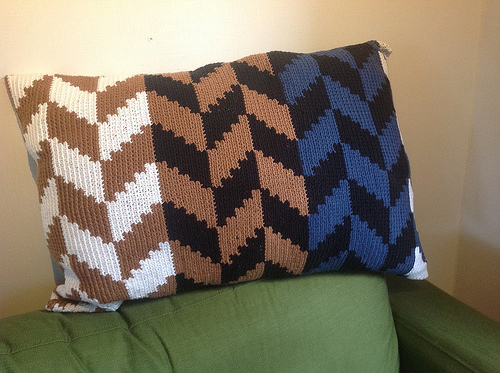 The colour combinations can be tricky. For me it helps to establish the feel I am going for with a page first and then set aside the colours I’ll use and then only use those. For this one I had two different colours of brown, two different shades of red, orange, yellow, two shades of light green and a shade of dark green. I love the sound of how much blogging you got done. I’m feeling very inspired to blog too at the moment and have loads of ideas floating around that I want to blog about. In fact I’m thinking seriously of booking a day off work mid Oct and using it as a fun day to work in my blog. Your sinterklass treats sound yummy. And I’m looking forward to your potatoe curry as I love that combination myself. And your colouring photo makes me want to take my colouring books out, Ive neglected them lately due to time pressures but I need to make time for them as it’s just so relaxing. Love your Autumn theme. It’s nice to have a week like this filled with inspiration and to just get those posts written. That sounds like a good idea to just take a day off from work to blog. I don’t always have time to colour either, even only one page takes a lot of time, this one took me two evenings or about 3 hours. Luckily I had some mroe free time this week so I could fit in some colouring. Wow, you color better than I would! 🙂 Looks good… I imagine it’s relaxing. That mermaid anthology looks good. Yes the colouring is very relazing. And trust me the colouring looks better on picture than in real life, then you notice not all areas are coloured perfectly. The large areas are hard to colour with my fineliner pens. It’s very relaxing. I have read 3 books from the anthology so far and am looking forward to read the rest soon! It’s nice to be ahead so you don’t have to worry too much about your blog when you’re away. Do you have an extra room so I can come live with you and eat all that amazing homemade food? I never cook, because it’s just me and I don’t want to clean up. I hope the BF appreciates what he’s got. I just won a coloring book on Goodreads and am excited to begin. Perfect for something to do while watching all the new TV shows that just started in the US. I do have an extra room, but it’s filled with stuff we still have to find a new home for, lol. I often cook for two days so it feels like less effort, with one hour spent in the kitchen we can eat two days. Makes it more worht it. I also heard of a blogger who lived alone and often froze a portion for another day. Colouring is a great hobby to cobmine with something else that doens’t require too much brain power, so I think colourign while watching tv would work well. I hope you’ll enjoy your colouring book. I think it’s a lot of fun! Okay thanks for letting me know! I don’t seem to have the best luck with this genre so far. I read one that was enjoyable, but I had some issues and I am currently one that’s probably going to be a 3 star too. I have one more for review, which I hope is good. Ooooh! Feel free to send some nutella cookies my way! That sounds amazing! Falling In Deep has been on my radar, so I really hope you enjoy it! Have a fantastic week! I am going to make the nutella cookies again this evening and then make pictures for a recipe post end october. They are really good! I thought it was a bargain for get 14 stories for only 0.99$. I just couldn’t resists grabbing it. I really like mermaids and it seems like there are less books with them around, so I really liked the idea for this anthology. Good for you getting so much done in advance, I am doing blog ahead too and a little scared yet excited of what I will get done! Colouring is just so great but I have had to stop myself from buying anymore books just now as I have a serious collection. Have a lovely week and enjoy those sinterklaas goodies! Good luck with the Blog Ahead challenge, I probably should’ve waited till Blog Ahead started to write those posts as now I wrote most of my already existing ideas. Ah well I hope I can come up with more ideas to write next month. I have about 6 colouring books lying around at the moment and not enough time to colour them all. And I still have the urge to buy more. There are so many great ones! I am really enjoying the sinterklaas goodies these few months that I can buy them! I love your coloring book. The Colors you choose are beautiful indeed. I hope you love all your new books. Thanks! I am really happy with the colours I used for this one and how it turned out. It really get’s me into the autumn mood! The mermaid box set looks fun. 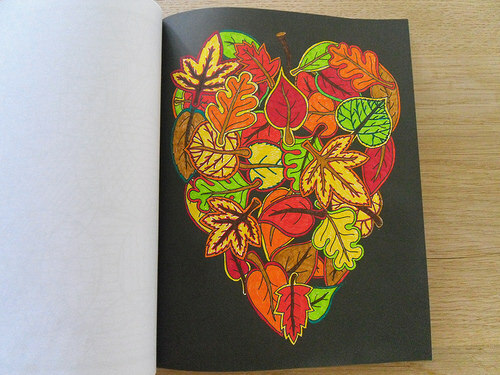 And I love your choice to go with fall colors for the leaves on your coloring project. Whew! You sure got a lot done this week on the blog and with your tour company. Congratulations. The pastry with almond paste sounds delicious. I read 3 stories so far from the mermaid box set and I am glad I could get the whole set for that cheap. One of the stories wasn’t for me, but I also read two already that I really enjoyed, hope to read more of them this week. Mermaids are one of my favourite paranormal creatures, so it’s fun to run into a whole box set with them. Yeah I was really in the productive mood this week. It’s nice to have one of those week. The pastry with almond paste is so good, I wish they sold them the whole year. I often pop a piece into the oven in the evenings when I want a sweet snack. Whoa, you are way ahead of the game. That’s great you have so many posts scheduled already. I don’t really even plan very far ahead except the few review books scattered out through the months. 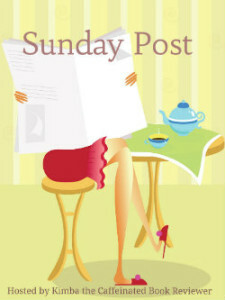 Christy recently posted…Sunday Post #144 (9/27/15) – Autumn Who? I am a planner and organizer by nature, so when it comes to hobbies I often put a little of that in it too, as it comes natural to me. I like the feeling of being ahead. It also can be annoying at times when I write a great posts that won’t be posted till 3 months later, so I can also see how posting when you feel like it would be nice. 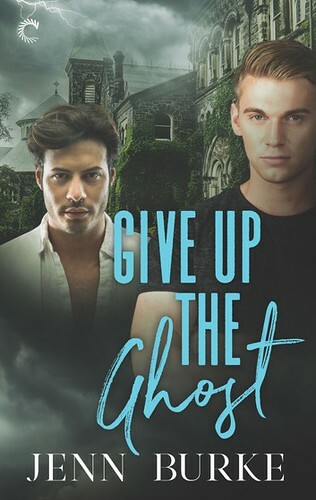 Reviews are the type of posts I am usually not ahead with, until now. Yeah it’s great when the blogging mood hits like that. I just kept having the inspiration to write and managed to write 1 or 2 posts each day, it was great. Now let’s hope this mood continues into next month! It was nice to finally make cookies again, they were so good I made them again today and this time with pictures for a recipe post. Sounds like you were on fire for blogging! 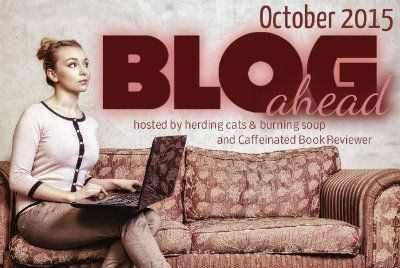 I would love to do blog ahead but since it’s for post in November and I am blogging like mad right now for October I don’t have time for Nov. yet…lol. Enjoy your box set! I managed to get ahead with my reviews for October, so I actually think I can mostly focus on November this time. Last year I wrote a lot of post for the month it took place, which meant less time to post for later that month. It’s a great challenge and I probably won’t get to the full 30 posts, but every post helps. Good luck with keeping ahead during the Blog Ahead activity! I am usually a few weeks or about 1-2 months ahead with my Lola’s Ramblings and Lola’s Kitchen posts, but not this far and this is the first time in a long time I am ahead with review posts that far. It’s a great feeling. And getting ahead is the most difficult part, staying ahead is easier. I used fine liner penns for this one. Here’s the link to amazon to the ones I have: http://www.amazon.com/Stabilo-8830-2-Fineliner-Rollerball-Colours/dp/B00BB8LCDE/ they are very vibrant indeed, although colouring the bigger parts can be hard as the tip is very thin. It’s a lot of fun and relaxing too and even a bit addicting. I often sit too long in the same position when colouring as I am so focussed on the colouring and then hurt afterwards. What a pretty colored picture! Frame it! Thanks! That’s the nice part of this colouring book, you can frame the pictures as there’s nothing on the other side. That’s great you have a lot of posts setup. 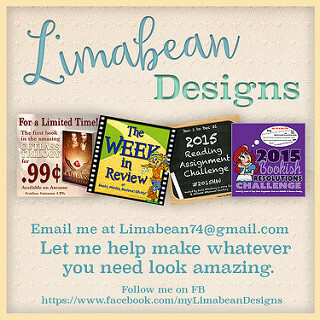 I have some reviews to finish up on and I’ll be a couple weeks ahead. I love your coloring. I’ve just started coloring and now I want to buy more books. It is very relaxing. Have a great week Lola! It’s a great feeling to be ahead! Thanks! I hope you’ll share some of your colouring pictures as well. It’s a lot of fun and relaxing indeed! I keep having the urge to buy colouring books, even though I already 6 of them I still want more. Both of those food treats sound really good to me. I didn’t bake cookies but hubby did buy me some of my favorite chocolate chocolate chip cookies. Best ones I’ve ever had. There are some awesome storebought cookies too! I sometimes buy soem too if I don’t want to make them myself. It’s nice your husband bought you cookies! Signing-up for Blog Ahead got me in the mood for blogging it seems :). I think I have about 5 or 6 books now and some I haven’t started in yet. I just pick one up and find a picture I want to. I think I’ll do another picture in this book next so I can review it after that. way to go on getting ahead with the blog posts. The goodies look yummy. Thanks! It’s nice to get more ahead with my blog posts! I love that funky heart you colored, with the black background, it looks truly fantastic, Lola! Your new books look amazing, and I hope you’ll enjoy them all. I really like the black background for the page. I am hoping to colour more in that book soon. I love being ahead and in my opinion the more ahead the better and even if I only compensate for the posts that get posted in November, I’ll be happy already :). And it’s such a fun challenge, that I want to be part of it. I’m glad you had such a productive week, Lola. It’s always nice to get ahead in blogging and I’m happy you had time for reading and coloring! 🙂 I love the picture of your fall leaves. It’s gorgeous! And those Sinterklaas cookies sound divine. I might have to pick up Falling in Deep – that list of authors is impressive. I love productive weeks like that. This week was less productive, so that makes me extra happy for everything I got done last week. I am really happy with how the fall leaves colouring turned out. I read 3 stories for the falling in deep collection so far and there are some really good ones so far and one I didn’t like. I hope you’re feeling better! It’s not fun being sick.